Run Google Coder On Your Raspberry Pi Or PC @RaspberryPi #piday #raspberrypi « Adafruit Industries – Makers, hackers, artists, designers and engineers! 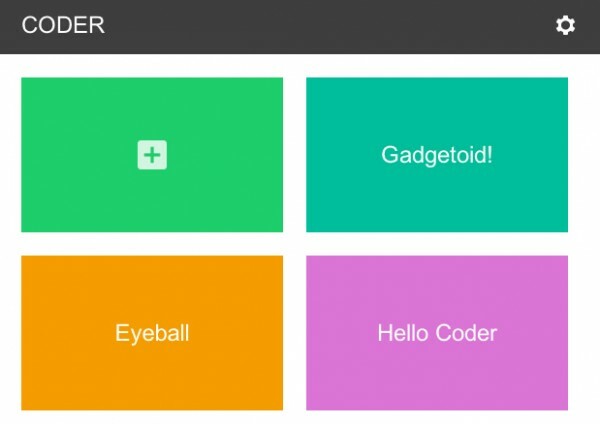 You’ve probably heard of Google Coder, it’s being pitched as a simple way to make web stuff on the Raspberry Pi. And it is! The side-by-side code and preview is great, and the clean, simple web-based IDE keeps out of your way and lets you get down to learning. Getting Coder up and running on the Pi can be very simple, but you have to swap to a different SD card or sacrifice your existing installation to use Google’s image. That’s a bit of a pain if you’re just interested in giving it a try, or want to test the water before you start re-imaging an SD card!